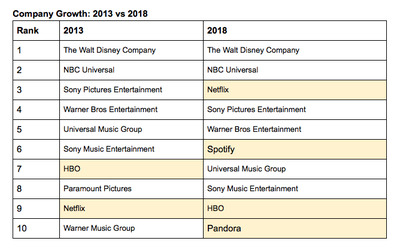 LinkedInLinkedIn data on the top 10 entertainment industry companies by employee count. 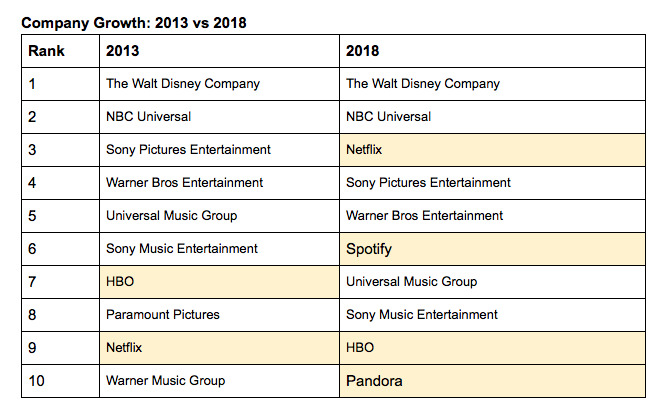 LinkedIn’s data on employee numbers showed that newer, digital companies like Netflix, Spotify, and Pandora nearly doubled their overall entertainment industry market share over the past five years. 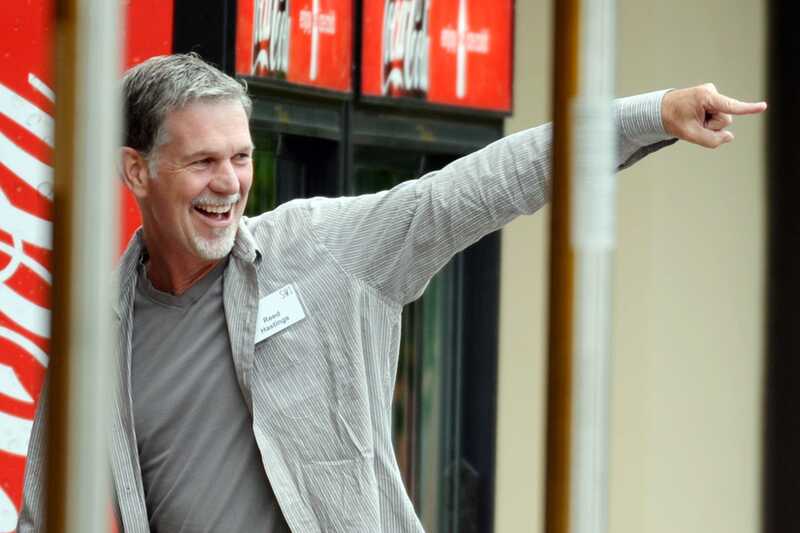 In an email to Business Insider, LinkedIn Economist Guy Berger described the entertainment industry’s shift toward digital companies as reflective of a larger national trend.